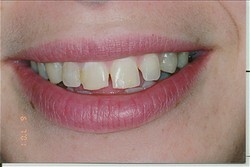 we are going to accomplish by placing the veneers. 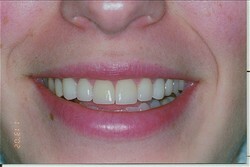 Once we have put a plan in place, we will carefully prepare the teeth for the placement of the new veneers. As we complete this piece of the process, the next step is to take an impression of the newly prepared teeth. This impression will be sent to our laboratory for the final product to be fabricated. We only utilize the highest standard laboratory for fabrication of all of our work. This process at the laboratory takes between 10-14 days. While the new veneers are being fabricated at the lab, we will provide you with a beautiful temporary solution to wear for this time.